The real estate brokerage industry is governed by complex rules. A real estate broker is generally the broker of record, who oversees the transactions of all the salespeople in the real estate office. In order to be licensed as a broker, an agent has to complete an additional 40 hours of education and work as a broker for three years. There are five different types of arrangements that may exist among a buyer, seller, and broker. In some cases, a real estate broker represents only the seller. In other cases, a buyer's agent works exclusively for the buyer. In some cases, two agents in the same real estate office, managed by a real estate broker, represent both the buyer and the seller. In some cases, a real estate agent is only a facilitator. In other cases, however, a broker may have dual agency. With dual agency, the agent can keep the whole commission, but conflicts of interest may arise. The knowledgeable real estate lawyers at Pulgini & Norton can help people in Boston and the surrounding communities protect their interests during this complex process. When a broker is a dual agent, the broker represents both the buyer and the seller and is required to be neutral with regard to any conflicting interests between the buyer and seller. This arrangement is only permitted if both the seller and buyer give express, informed consent to it. This written consent needs to be given before the agent or broker executes an offer to buy a particular property. Buyers and sellers should be aware that a dual agent is not able to fully satisfy the duties of loyalty, disclosure, obedience, and reasonable care. However, the dual agent still owes a duty of confidentiality of material information and a duty to account for all funds. This means that a dual agent is not allowed to disclose any material information that buyers or sellers give the dual agent unless the disclosure has been expressly authorized, the disclosure is legally required, the disclosure is meant to stop illegal conduct, or the disclosure is needed to prosecute a claim against someone represented or defend such a person. The duty of confidentiality continues even after a brokerage relationship is concluded. A dual agency arrangement can be a tricky relationship, particularly if either the buyer or seller does not fully understand the limitations of the duties owed by the broker. Often, real estate transactions require negotiations between the parties to get the best possible deal for either side. With a dual agent, this type of aggressive negotiation cannot take place. The buyer and seller must both be treated fairly and honestly. In some cases of dual agency, it may be appropriate for the buyer and seller to have their own attorneys. An attorney's duties to his or her client are more substantial than a dual agent's duties to a buyer and seller. 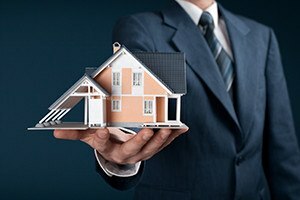 People who are considering a home purchase or sale in the Boston area can contact the attorneys at Pulgini & Norton to review an agreement with a broker and advise on any pitfalls of broker dual agency. We also provide diligent representation to buyers and sellers in Newton, Waltham, Quincy, and other cities in Massachusetts. Call us at 781-843-2200 or contact us via our online form for a free consultation.